The inspiration of creator, Paul O’Neill, the idea of Trans-Siberian Orchestra “was to create a progressive rock band that would push the boundaries (of that genre) further than any group before… Way, way further.” It would appear Mr. O’Neill has succeeded nicely. 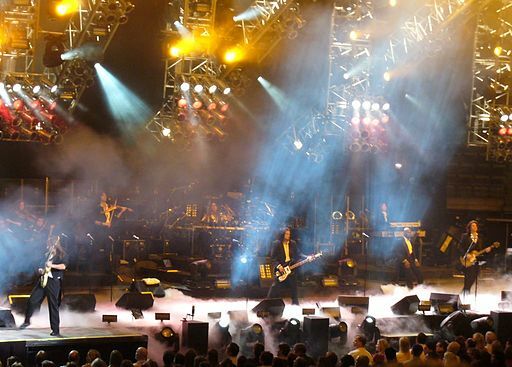 Together with Jon Oliva, Al Pitrelli (both members of Savatage) and Robert Kinkle (keyboardist and co-producer) the group brought together a band of outstanding musicians to form the wildly successful sound that is Trans-Siberian Orchestra. Past shows, and they were long-running, included Christmas Eve and Other Stories, Beethoven’s Last Night and The Lost Christmas Eve. This year marks the year of a brand new show The Ghosts of Christmas Eve, and promises to be their best show yet! The Ghosts of Christmas Eve show takes us back to almost the beginnings of TSO. Some may remember seeing it on television..it was filmed before the group ever went on tour. This show captures that magic and combines with other bits of the Christmas Trilogy to thrill fans of all three stories. Please note, tickets will be available at Hersheypark Stadium Box Office for the first day of onsale.